Alexa Sherr Hartley is a former Big Law litigator gone rogue who has been reincarnated as a Columbia University trained business coach, Alexa works outside the box thinkers, progressives interested in disrupting the status quo, and with high-potential mavericks to achieve outstanding greatness in their careers. Having made the leap in her own life, she inherently understands the courage, risks and rewards involved in pursuing one’s passion. Through her work with leaders across multiple industries, Alexa has honed a powerful set of techniques to reinvigorate top executives and infuse a renewed sense of purpose within their work. She is a highly sought-after speaker who regularly presents to professional groups where her professional development sessions provide concrete strategies and long-term action plans for improving soft skills that are critical for success in today’s global economy. Recent presentations included topics such as Talk Your Way to Success, Making Team Structures Work for your Firm, Lead and Succeed with More Successful Communication, Introduction to Emotional Intelligence, and Managing with Less Effort and Greater Impact. 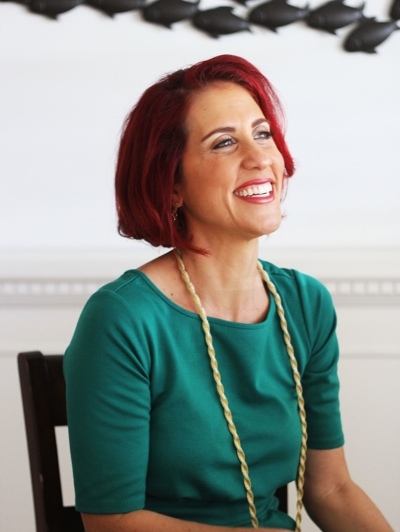 As President of Premier Leadership Coaching, Alexa has consulted with industry leaders in the fields of law, real estate, and non-profits about the planning and implementation of significant organizational change, leadership development and decision-making. Facilitating sustained development is Alexa’s mission and where she is at her best, helping clients improve personal and company effectiveness, while drawing upon the tenets of positive psychology. She serves clients in the private and public sector, guiding them in enhancing focus, improving individual and team performance, and aligning leaders with corporate missions and strategies. Whether an individual or a corporation, Alexa dives into her client’s world to understand the pain points and create customized programs and solutions to optimize ideas, cultivate teamwork, and increase profits. Past clients have remarked affectionately, “She is the voice instead my head guiding me when I’m stuck.” In her weekly blog, Becoming Outstandingly Great, Alexa outlines specific strategies for developing the skills professionals need to be successful at the highest levels of their careers. Always looking for a new challenge, Alexa joined Florida Atlantic University in May 2014 as an adjunct professor in the College of Business. She instructs MBA students enrolled in Global Leadership Assessment and Career Development (GLAD), delivers assessments and leads the group in executive coaching exercises to demonstrate factors critical to successful leadership and business-wide success. Prior to her metamorphosis as an executive coach, Alexa was a litigator in both the Manhattan and West Palm Beach offices of Greenberg Traurig with a focus on complex commercial litigation, business disputes, and products liability. In this capacity, she represented, counseled and negotiated on behalf of business owners, manufacturers, and companies. Alexa holds her Juris Doctor with honors from the University of Florida, Levin School of Law and her Bachelor of Arts in Religious Studies from Connecticut College. In 2011, she completed a Graduate certificate in Executive and Organizational Coaching from Columbia University Teachers College and is certified in the Neethling Brain Instruments (NBI™) and DISC behavior assessment tools. Alexa has provided expertise to advisory boards and she’s active in a number of professional associations. Alexa’s professional and personal journey has equipped her to truly understand the challenges and opportunities individuals and companies face in this rapidly changing global economy. She knows first-hand that maintaining the status quo is not an option and one must continually evolve to thrive. The combination of Alexa’s practical real-world experience, engaging coaching style and passion for cultivating leadership and management skills has allowed her to usher numerous clients from professional atrophy to unimagined heights within their careers. She is particularly attuned to the issues of career development and emotional intelligence. In her free time, Alexa enjoys spending time with her husband and four children, gluten-free baking, writing fiction and listening to podcasts. Partner with Alexa on your career and company needs.